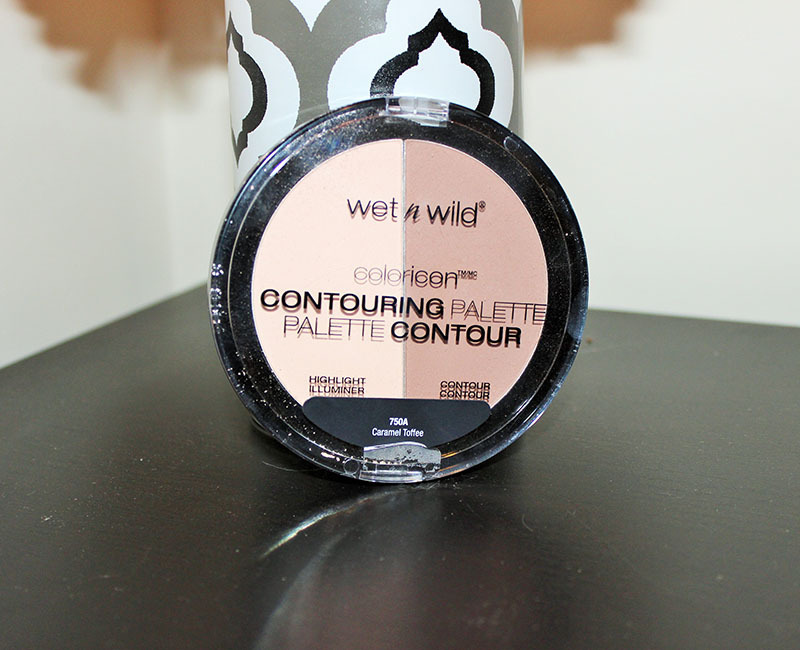 I finally got my hands on the Wet n Wild Contour Duo. There are two palettes available; the shade I got is Caramel Toffee. Caramel Toffee has the pink toned highlight powder, while Dulce De Leche has the yellow toned powder. I'm still on the hunt for Dulce De Leche, but I wanted to go ahead and share my thoughts and swatches of Caramel Toffee. This duo contains a contour powder and a highlight powder. 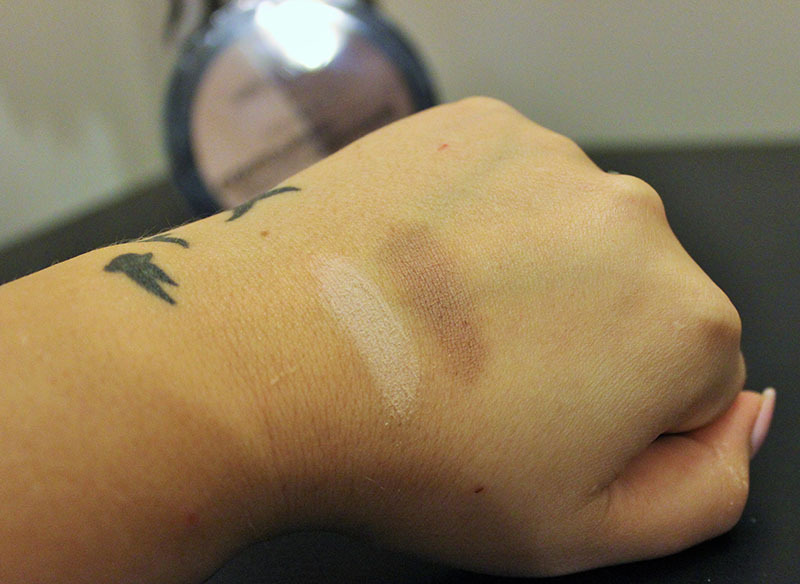 As I mentioned, the highlight powder in this duo is pink-toned, the contour powder is cool toned, both are matte. The duo is pretty large, so I feel like it can last you quite some time. This is slightly powdery and very pigmented. This powder is surprisingly lightweight and doesn't cake up on me at all, even with my extremely dry skin. I feel like the contour powder would work for a pretty wide range of skin tones, but the highlight powder may look ashy if you're really tan or darker. 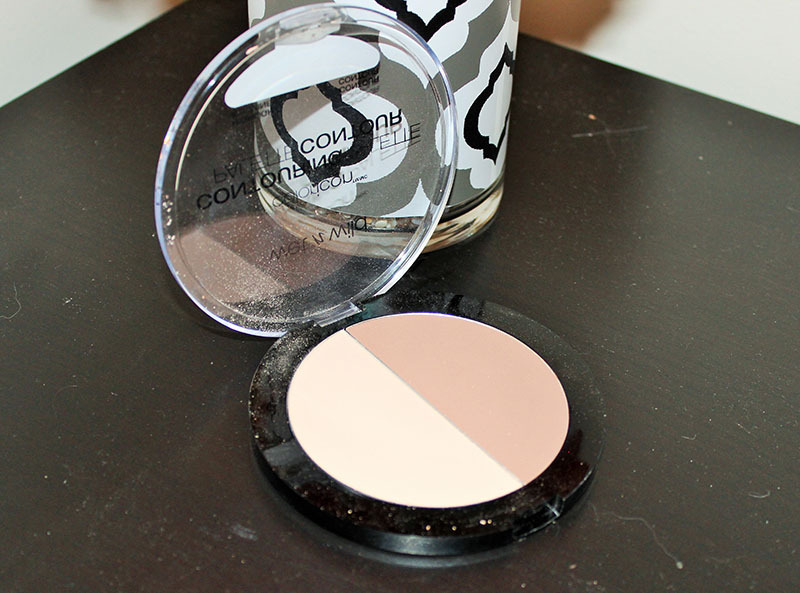 The contour shade is very good for contouring. It's really the perfect contour shade on my skin tone, which is light/medium neutral. This blends easily, isn't patchy and doesn't fade as the day goes on. The highlight powder is a little more sheer, but it does a great job of brightening. It also blends well, doesn't cling to dry patches and doesn't fade or cake up. Overall, I recommend grabbing these contour duos. I'm not sure if they're limited edition, but I really hope they're permanent. They're only $4 each.